This blog introduces some important tables in CRM Marketing Segmentation area. 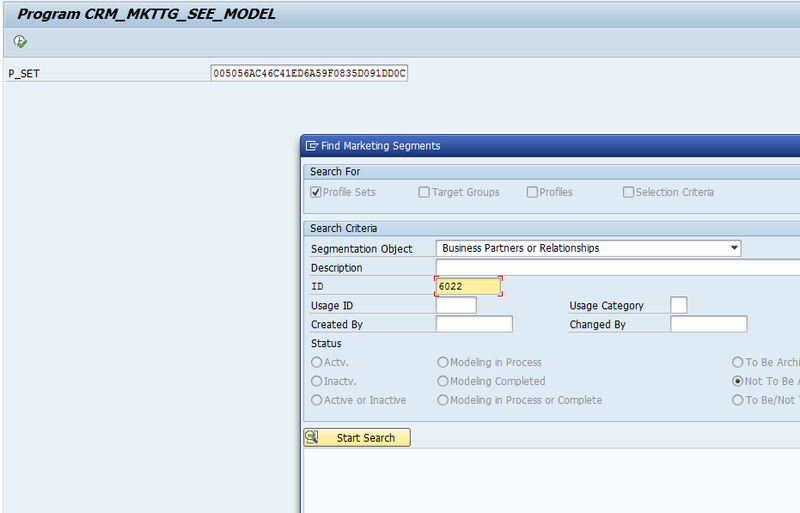 Here I create a new segmentation model as example: ID 6022, which includes two segments and target groups. 1. 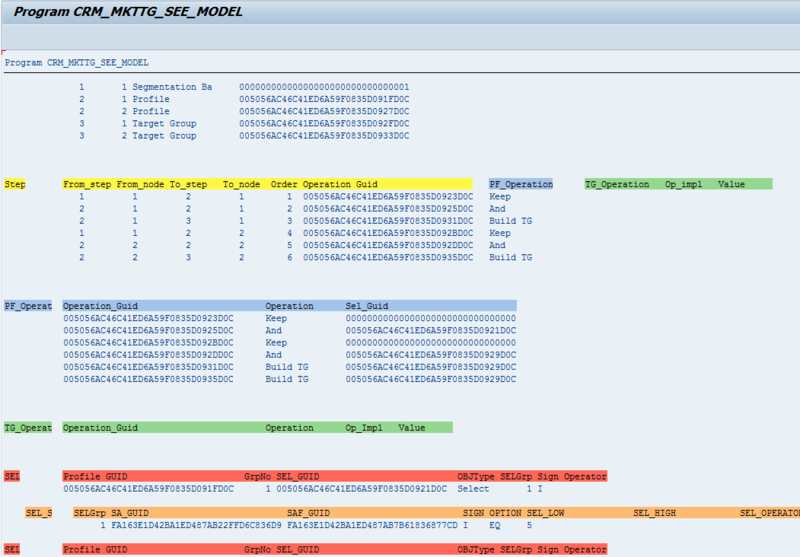 The GUID for segmentation model can be found in table: CRMD_MKTTG_SET_H. 2. The profile(Segment) GUID can be found in table: CRMD_MKTTG_PF_H. information for item/object, you can check table: CRMD_MKTTG_TG_I/O. 4. Table CRMD_MKTTG_SEL_S stores the filters information in the Selection List of segment, such as the selected attributes and attribute filters. 5. Following the table stores the tech info for selected attribute list, attribute and related Data sources. AUSP table provide the BP GUID for an Attribute ID, Value. CABN/CAWN tables provide more details for attribute and attribute value. Hopes that this blog will be helpful to you, and let’s discuss if you have any questions. May be you know similar report?